There are currently 87 people online. While the first custom versions of the AMD Radeon RX 480 are expected around mid-July, it appears you'll have to wait a bit longer if you want a card with 4GB GDDR5 memory. 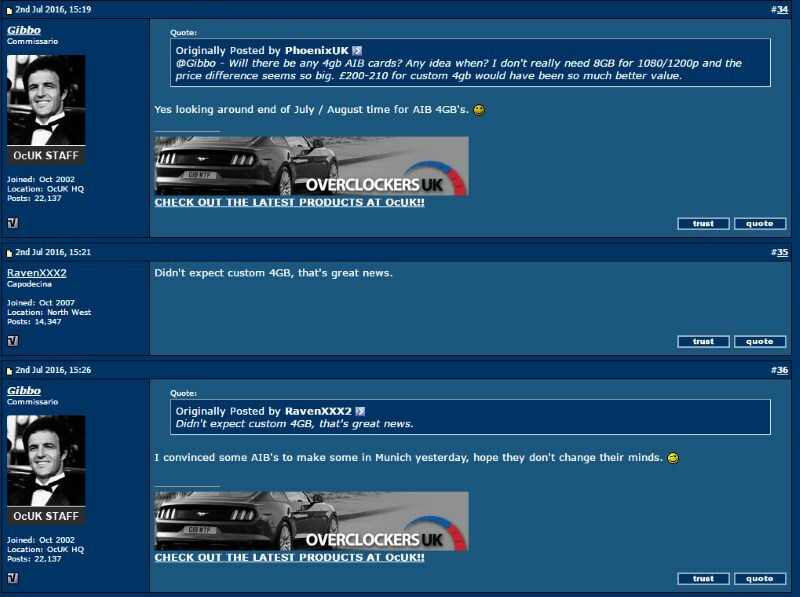 Gibbo from OverclockersUK claims the 4GB models are expected to follow around the end of July or early August.